Knorr offers a brand new gift with purchase idea to its loyal customers. This food storage is from another brand that's known for its quality and durable food containers -- Biokips. Interestingly, a lot of marketers prefer the gift with purchase campaign amongst others. Evidently, we see an increasing number of gift with purchase campaigns in retail shops all over the world. 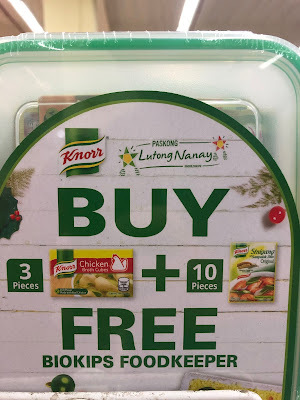 Knorr's promotion is incredible. Customers would only need to buy 3 boxes of chicken bouillon cubes and 10 small packs of tamarind-flavored stew powder. Then, the customer brings home a quality food container. This food keeper is made from BPA-free polypropylene plastic. They are 100% air and liquid tight. Also, four durable locks keep the contents safe. Furthermore, this container is freezer, microwave, and dishwasher safe. Hence, we are sure that this item meets the standards for food safety. Why do we love this promotion from Knorr? 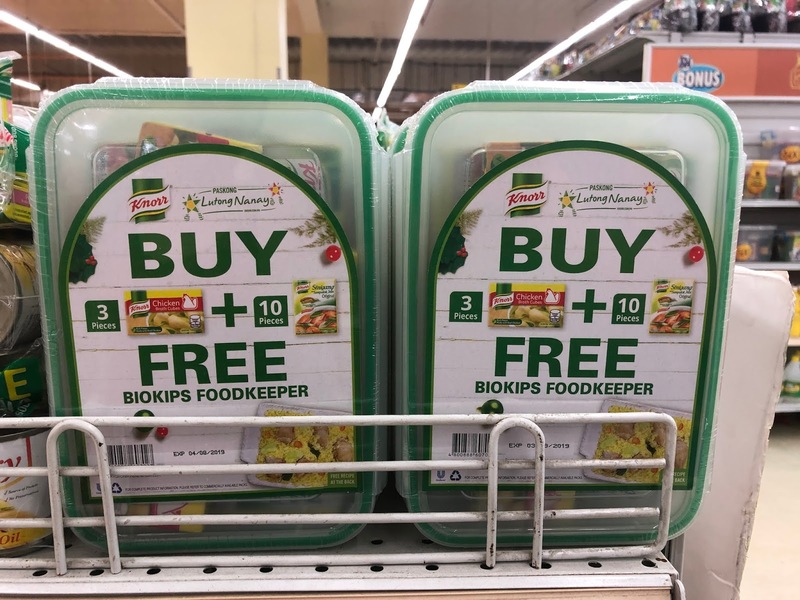 Collaboration- We love how Knorr and Biokips collaborate just to realise this campaign. Obviously, both brands benefit from this marketing strategy. In fact, these both brands could co-exist and never compete. They are aware that their products are more or less related to each other but are never competitors. They use this advantage to gain more attention and potentially increase their sales. Brand Awareness - Clearly, On-pack promotion is currently one of the top types of gift with purchase. They bring more impact than the usual or standard freebie. People would easily spot Knorr's logo. 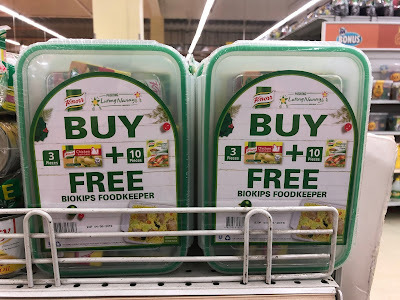 At the same time, they'll see that the promo gift is a Biokips food keeper. High – Quality: As mentioned, Biokips containers are made from high - quality material. Receiving one for free would make any customer happy. This leaves a good impression on the customers which is good for the brand. Overall, giving something away for free is a great way to show customers that you appreciate them. As a result, customers will trust and love your brand even more. Should you want to know more, feel free to contact us anytime. Our team is always ready to take your marketing and manufacturing queries.